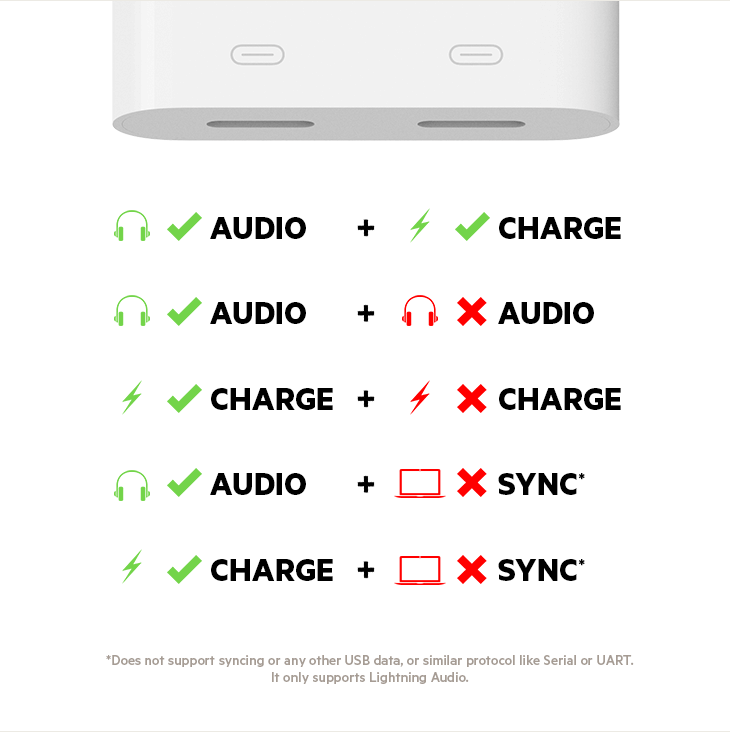 Lightning Audio + Charge RockStar™ is rated 3.1 out of 5 by 227. 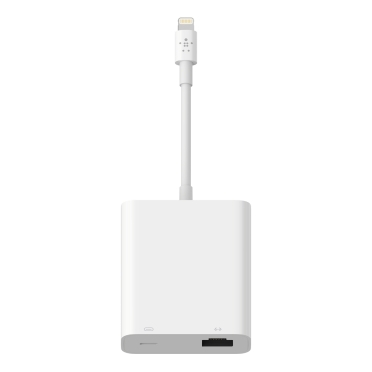 Rated 5 out of 5 by Gina_ap from Best lightening adapter! I’ve owned this lightening audio adapter for over a year and now own a second. I purchased 2-3 others from amazon at first but each of them dulled the sound from my phone and also had a loud buzzing noise. 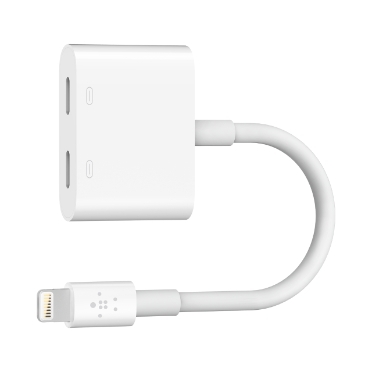 This was the first adapter that actually worked and has consistently worked! It’s a lot easier to charge and play music now as I only have one thing I have to plug in every time. 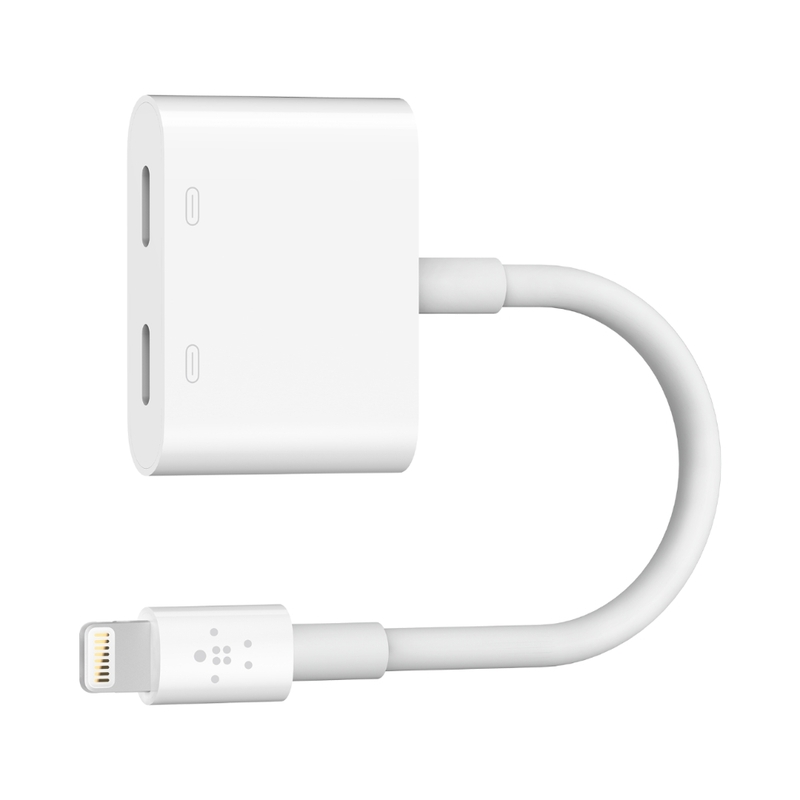 Really good adapter! Rated 5 out of 5 by Flippant from It Works! 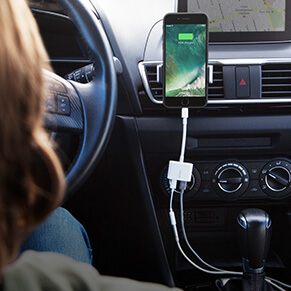 Fantastic When I upgraded to my iphone 7, I had to use a dock to listen to music and charge at the same time. The dock did not work with a couole of the cases I tried, and I prefer to have my phone in the landscape position at night when going to sleep listening to tunes. 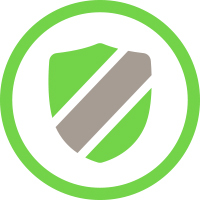 Enter the Belkin Rockstar. 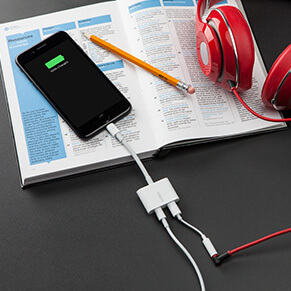 There are some shoddy imitations, but Belkin works and I did not want to trust my iPhone power to an unknown. 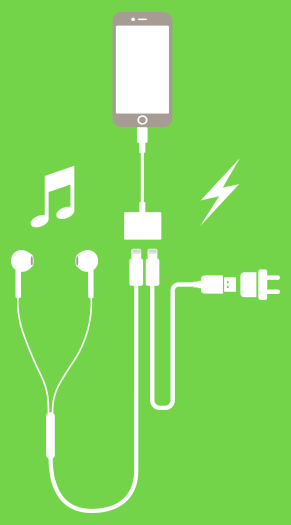 I have come to find that Belkin products are top quality- they just plain work! Rated 1 out of 5 by Retro from Disappointed The cable on this adapter frays and breaks open during normal use. Have had 2 (one was a gift after I had already bought one). Both frayed after 2 or 3 days of use. 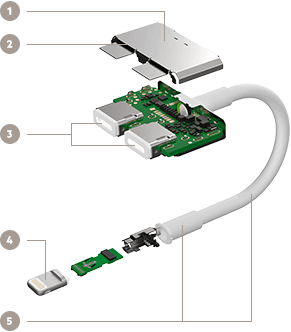 The short cable tail from lightning connector to splitter end bends in use and then breaks open exposing wires. Seems that huge flaw would surface during quality control testing. Rated 1 out of 5 by Tj0527 from Does not work I bought one 2 months ago and it broke after about a month and a half. Bought another today and it already doesn’t work. I’m returning it tomorrow and I know this has happened to many other people from what I’ve seen online so if you are reading this I would highly recommend not purchasing this item. Rated 1 out of 5 by Conman1700 from Adapter stopped working after only a few months This adapter stopped working after only 6 months. 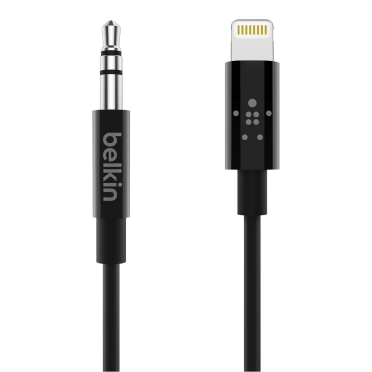 Completely unacceptable and not what I expect from a Belkin product. Rated 5 out of 5 by Pamar47 from Finally a safe one I couldn’t find one that didn’t say “this may not be compatible” when I tried to use it. I learned the hard way that it really isn’t. Works great and is clear. It’s so sad I had to pay so much to get something for my iPhone but nothing else was a sure thing. 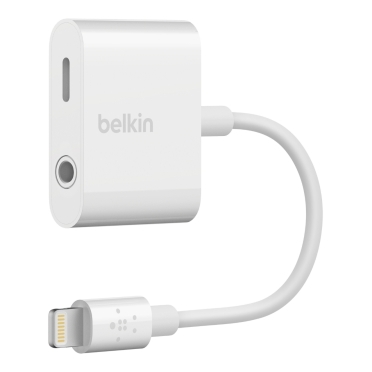 I can always find something with Belkin. Rated 1 out of 5 by Barngirl from Lasted three months This is my second one I purchased and each lasted about 3 months. Loved it when it was working.